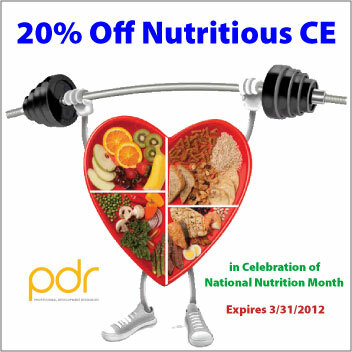 20% Off CE in Celebration of our 20th Anniversary! We’ve reached a major milestone: 20 years of continuous operation as an accredited provider of continuing education! We couldn’t have done it without you. 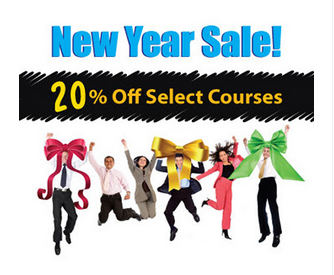 In celebration of our anniversary, and to thank you for your support, we are offering a 20% discount on all of our CE courses through June 30, 2012. Use coupon code 20YEARS to apply during checkout @ www.pdresources.org. Coupon valid on FUTURE orders only (cannot be applied retroactively). Expires 6/30/2012. Professional Development Resources was incorporated on August 12, 1992 in the State of Florida as a 501(c)(3) not-for-profit corporation. Its mission was – and continues to be – to seek out the most recent scientific and clinical publications in selected professional areas of psychology, mental health, social work, nutrition, speech language pathology, and occupational therapy and to present continuing education topics of current clinical relevance to the named professions for the purpose of improving patient care. The company’s founder, Leo Christie, PhD, is a Florida-licensed marriage and family therapist who was in private practice in Jacksonville, Florida from 1982 to 1992. With the intention of establishing an outlet for his interest in writing and teaching, Christie founded the new company and set out to explore the possibility of planning and delivering live educational seminars. The vice president and director of continuing education was – and still is – his wife, Dr. Catherine Christie, who is a registered dietitian. Christie recalls the early years: “The first steps were to become credentialed by the professional boards, select and develop a topic, identify target audiences, implement a marketing plan, and arrange funding for a series of delivery sites in the State of Florida – a daunting process, to say the least. We set out to secure accreditations from some of the Florida licensing boards so that we could award official CE credit to those who attended our conferences. That process took over 8 months. I remember having some difficulty with the Florida Board of Psychology, and it required a personal appeal and some restructuring before we were eventually recognized as a CE provider. We also sought and received approval to offer CE to nurses, under the auspices of the New York Nurses Association, which was a widely accepted accrediting board at the time. In the early years, nurses represented more than 50% of our seminar attendees. “During the summer and fall of 1993, we completed 12 six-hour seminars in 7 Florida cities. The summer seminars were titled ‘Fears, Phobia, and Panic’ and dealt with the full spectrum of anxiety disorders. In fall, we introduced a new topic ‘Compulsive Behaviors,’ which featured a study of obsessive compulsive disorder. As a startup year, 1993 generated enough revenue to make further planning and development possible for the new company. From there, the company went on to secure provider accreditation credentials from a number of national and state boards, including the American Psychological Association (APA), the American Council on Pharmaceutical Education (ACPE), the Association of Social Work Boards (ASWB), the National Board for Certified Counselors (NBCC), the American Speech-Language-Hearing Association (ASHA), the American Occupational Therapy Association (AOTA), and the Commission on Dietetic Registration (CDR) of the American Dietetic Association (ADA) [now the Academy of Nutrition and Dietetics]. The speaker circuit grew to the point at which there were four speakers on the road at one time presenting various topics in 46 of the 50 states. 20% Off New Year Specials for our 20-Year Anniversary! 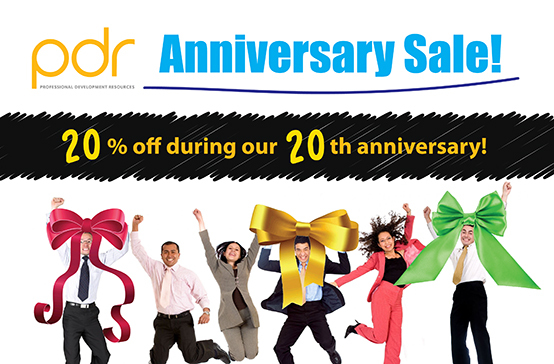 We here at PDR are in the midst of planning a new website and celebrating our 20-year anniversary! Our new website is under development with a tentative launch date of March 1, 2012. We are very excited about the user-friendly features our new website will offer and can’t wait to show you! Electronic Media and Youth Violence | 1 Hour CE | $14 – 20% = $11.20! Acupuncture: An Introduction | 1 Hour CE | $14 – 20% = $11.20! Ethics & Risk Management: Expert Tips 1 | 2 Hours CE | $32 – 20% = $25.60! Talking with Your Older Patient | 2 Hours CE | $24 – 20% = $19.20! Improving Communication with Young Clients | 3 Hours CE | $48 – 20% = $38.40! Alzheimer’s – Unraveling the Mystery | 3 Hours CE | $36 – 20% = $28.80! The Inherited-Insanity Illusion | 3 Hours CE | $44 – 20% = $35.20! Eliminating Self-Defeating Behaviors | 4 Hours CE | $64 – 20% = $51.20! Emotional Overeating | 4 Hours CE | $56 – 20% = $44.80! Mindfulness | 6 Hours CE | $84 – 20% = $67.20! Hurry, sale ends March 31, 2012! Professional Development Resources is approved as a provider of continuing education by the Association of Social Work Boards (ASWB Provider #1046, ACE Program); by the National Board of Certified Counselors (NBCC Provider #5590); by the American Psychological Association (APA); by the National Association of Alcoholism & Drug Abuse Counselors (NAADAC, Provider #000279); by the Continuing Education Board of the American Speech-Language-Hearing Association (ASHA) to provide continuing education activities in speech-language pathology and audiology; by the American Occupational Therapy Association (AOTA, #3159); and by the Commission on Dietetic Registration (CDR Provider #PR001). View additional accreditations here.